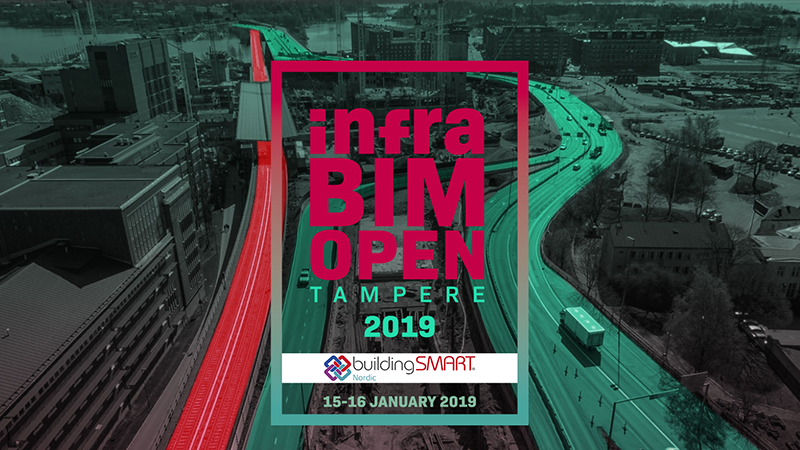 InfraBIM Open has now released the official program for its second edition that will be held on 15-16 January 2019 in Tampere (Finland). The event, organized by buildingSMART Nordic, was the first worldwide conference focused on open infrastructure BIM. More than 400 participants from 17 different countries got together to discuss the latest achievements in information modeling, process re-engineering and practical open infraBIM project cases in transport infrastructure development. This new edition aims to achieve the same numbers and for now, they already have received 60 presentations from 15 different countries. Following the same pattern as the first edition, the InfraBIM Open 2019 program will include different sessions with the last advancements from the leading countries in the use of Open BIM and parallel sessions that will cover different topics such as Asset Management, Planning and Design, Research or RIFFI Sessions. BIMCommunity had the pleasure to attend the first edition of InfraBIM Open held last January. The event was the perfect place to bring together specialists in the use of open infraBIM development through an inspiring program that included large key names of the construction industry. Adam Matthews, International Director for the UK Government’s BIM Task Group and Digital Built Britain Programme and Chair of the EU BIM Task Group; Pekka Petäjäniemi, Director for Major Infrastructure Projects Implementation Department in Finnish Transport Agency, are some examples. According to buildingSMART Nordic chairman, Tarmo Savolainen, this kind of events are very necessary since BIM has become mandatory for professionals in the infrastructure sector. Are you interested in attending InfraBIM Open 2019? Visit the webpage of the event and grab your ticket now. Discounted early bird rates are valid until November 18!